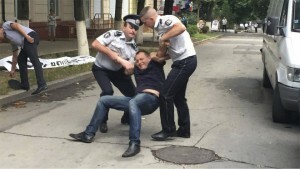 On July 31, armed police and private security guards carrying semiautomatic weapons attacked Liberty Township, a tent city set up by dozens of protesters in Chișinău, Moldova, outside the home of wealthy oligarch and political kingmaker Vladimir Plahotniuc. The private security forces were especially brutal, and many people were injured. Several activists were arrested. Protest organizer Grigory Petrenko dragged away from oligarch’s home by police in Chișinău, Moldova, July 31. The tent city, which included whole families, had been set up July 24 to protest steep price hikes for electricity and natural gas — austerity measures backed by Plahotniuc and the ruling “Alliance for European Integration.” Protests also spread to other towns and villages in the former Soviet republic of 3.5 million people, which is sandwiched between Ukraine and Romania. On July 18, the National Agency for Energy Regulation (ANRE), a government agency, recommended increasing electricity rates by 37 percent and natural gas rates by 15 percent. Hikes in water and heating oil prices are also planned. Moldova’s currency has sharply depreciated in recent years, causing hardship for poor and working people, as pro-Western politicians cut off trade with Russia. While most Moldovan oligarchs have their money invested outside the country, agricultural and manufacturing workers dependent on the Russian market were hit especially hard. As in neighboring Ukraine, Chișinău’s right-wing government seeks to sell off the country’s resources and impoverish workers and farmers in a bid to join the European Union and the U.S.-led NATO military alliance. Moldovan authorities have also shown a growing willingness to repress any signs of dissent. Two young anti-fascist leaders, Pavel Grygorchuk and Mikhail Amberg, were arrested in November and held for six months as political prisoners, first in jail and then under house arrest. Grygorchuk is editor of the communist website Grenada.md, and both activists are leaders of the Red Bloc Party founded in May. 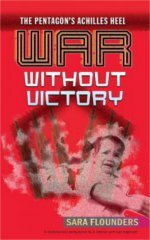 Website Publika.md, controlled by oligarch Plahotniuc, published a scare-mongering editorial against Liberty Township organizer and Red Bloc Party chairperson Grigory Petrenko on Aug. 5, as well as other articles implying that the protests are “coordinated by external forces” — code words for Russia. After a local appeals court ruled July 31 in favor of Plahotniuc’s demand to dismantle the tent city, cops and security guards moved in immediately, violating the rights of protesters who had planned to appeal the case to the country’s Supreme Court. “We believe the tariff increase is unreasonable,” one protester told Omega. “We have nothing more to pay for gas and electricity. We also want to live like human beings.” Protests have continued since the repression in Chișinău and spread across the country. In response to the growing protest movement, the government was forced to take a step back on Aug. 5, when a meeting of the Supreme Security Council decided to make “categorical recommendations” for revision of the tariff on natural gas, Grenada reports. Activist Pavel Grygorchuk cautioned that this was meant to soothe public discontent while the regime prepares repression against protest leaders.